WASHINGTON — As the number of deaths resulting from traffic crashes continues to rise locally and nationally, the Advocates for Highway and Auto Safety released a report on Monday in a continued push for more legislative action. Based on what the group calls “16 essential traffic safety laws,” the 50 states and the District were ranked from best to worst for having advanced toward adopting all of the Advocates’ recommended optimal laws. The District was rated green, among the best, along with six states. The report indicates that the District has made strides in adoption of the group’s fundamental traffic safety laws – booster seat and teen driver requirements notwithstanding. Maryland was rated yellow, with the group suggesting room for improvement within the state’s Graduated Driver Licensing programs. Virginia was among 13 states rated red when it comes to adopting the recommended laws. In the report, the commonwealth was docked for its lack of rear seatbelt requirements, open container policy and for what the group considers weak teen driving requirements, as well as its child booster seat laws. Laws regarding occupant protection, child passenger safety, teen driving, impaired driving and distracted driving were all considerations. 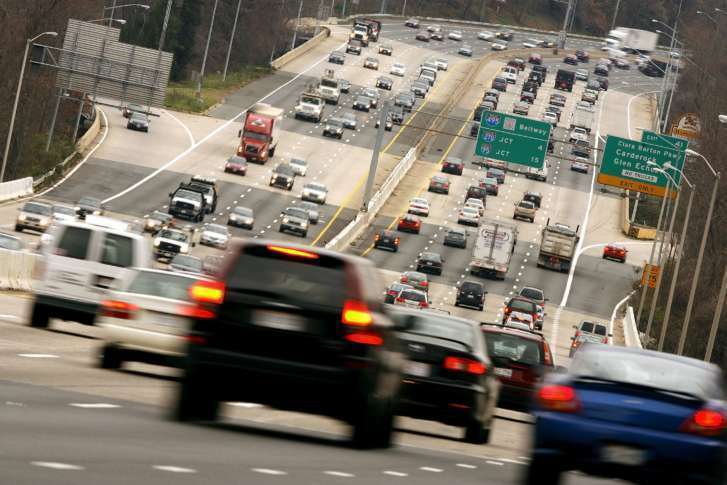 More than 1,200 people in Maryland, Virginia and the District died as a result of traffic crashes in 2016, according to the National Highway Traffic Safety Administration. The Advocates determined that Rhode Island had the best combination of traffic safety laws, while South Dakota was ranked last.